I always carry a polarizing filter with me and it’s certainly saved the day, time and again, when I find myself photographing buildings, structures and a variety of landscapes under extremely bright conditions. Actually I almost never use a polarizing filter, preferring to photograph outside of the death zone that is midday sun in summer. But there are times when you simply have no choice and you have to find a way to make the most of the available light. It was a simply glorious day when I photographed this group of friends picnicking in front of the old ship. 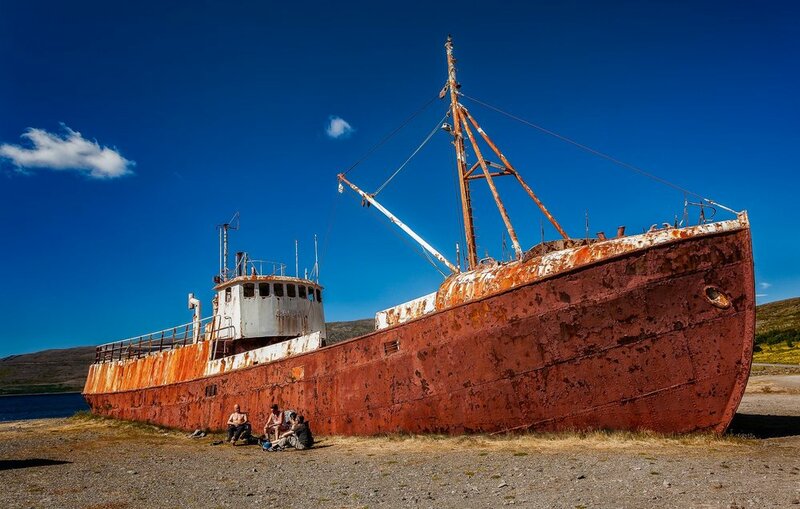 I was in the north of Iceland, driving around the country on Route One, when I spotted what appeared to be a shipwreck just off the road. It really was quite a surreal experience to find this rusted out old hulk well and truly beached on the stony shore. The fact that the scene included a group of friends, picnicking in the bright sunshine, only added to the mystery. I don’t know what the ship was doing there. Perhaps it had run aground or was dragged ashore for repairs. I know not. Nonetheless, it was a surreal scene to behold and I was keen to photograph it. Despite the fact that it was the middle of the day and the light was hard (i.e., a small light source, like midday sun, produces sharp edged shadows) and very high in contrast, I went about making a few photos to record the moment. 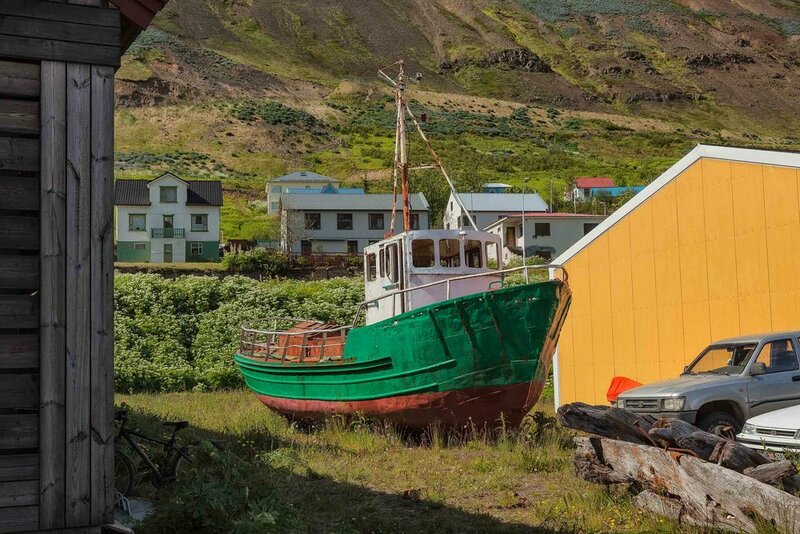 A green and red fishing boat in a yard in the town of Siglufjordur in northern Iceland. Compositionally the photo at the top of this post is very straight forward. The red/orange colors of the rusted out hulk provided a great contrast with the cool blue of the sky. Actually, having the people there was handy as it added a sense of scale to the image, giving a better impression of the size of the ship. Likewise the sight of a fishing boat, parked in a yard in the town of Siglufjordur, was too good to miss. Again, the composition is really quite pedestrian. But I’ve only come across this kind of scene on a few occasions which makes it somewhat unique, at least in my mind. I was also drawn to the vivid green color of the fishing boat. I knew I wasn’t making art, but the scene demanded a quick snap nonetheless. The day was very bright and I was squinting to try to protect my eyes from the light reflecting back into them while making all but the very last photo in this post. These kind of conditions can mean death to a photograph when so much of the texture and color present in the subject or scene is reflected off surfaces and away from the camera’s lens. The best option is to employ a polarizing filter to reduce the reflection and thereby keep the color and texture in place. Two wooden statues at rest outside the Hannes Boy Cafe in Siglufjordur, Iceland. By spinning the filter around you can vary the intensity of the effect seen, in real time, through the viewfinder. So, while midday in summer is probably my least favorite time to be making photos, you can still produce very acceptable results with interesting subject matter and a little technical knowledge. 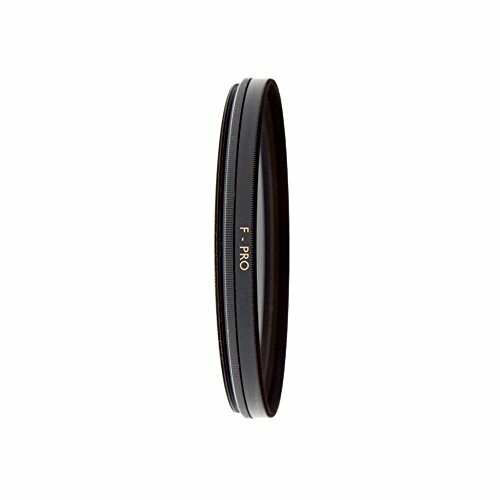 In fact you might find that it’s your polarizing filter that makes all the difference. When you add a story, real or imagined, and a sense of mystery you can produce quite compelling results. I think the photos in this post demonstrate that point quite well. A brightly painted wall reflected in a window in the seaside town of Siglufjordur in northern Iceland. While a polarizing filter is an important piece of kit it’s not a good idea to leave it screwed onto the front of your lens all the time. Frankly there are times when it simply has no effect, other than to block light and, as a consequence lower your camera’s shutter speed. This can be a problem under low light conditions when a slow shutter speed can introduce unwanted camera shake and/or subject movement. Given that the job of a polarizing filter is to reduce reflections you want to ensure the filter is removed from in front of your lens when you want to photograph reflections in water or windows. 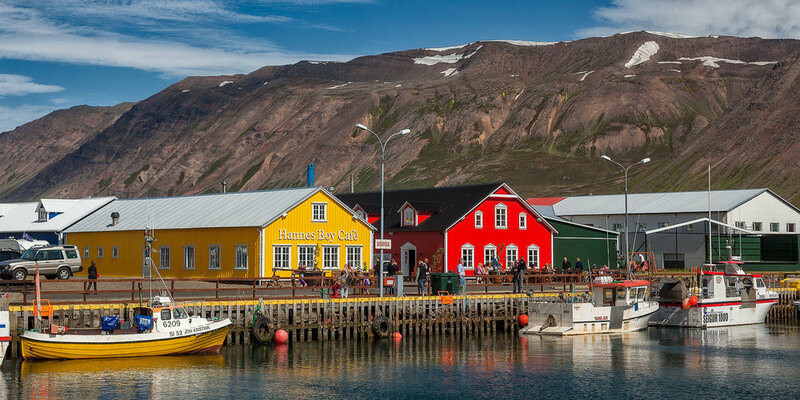 Needless to say I removed my polarizing filter when I made the photo of the yellow wall reflected in the window panes of the red walled building in the town of Siglufjordur in nothern Iceland.